Colberg Hi Performance Tractor Repair is now offering Hi Performance pulling fuel for sale to tractor and truck pullers as well as diesel drag racers. Colberg offers four grades to maximize performance for your individual engine requirements and sanctioning requirements. 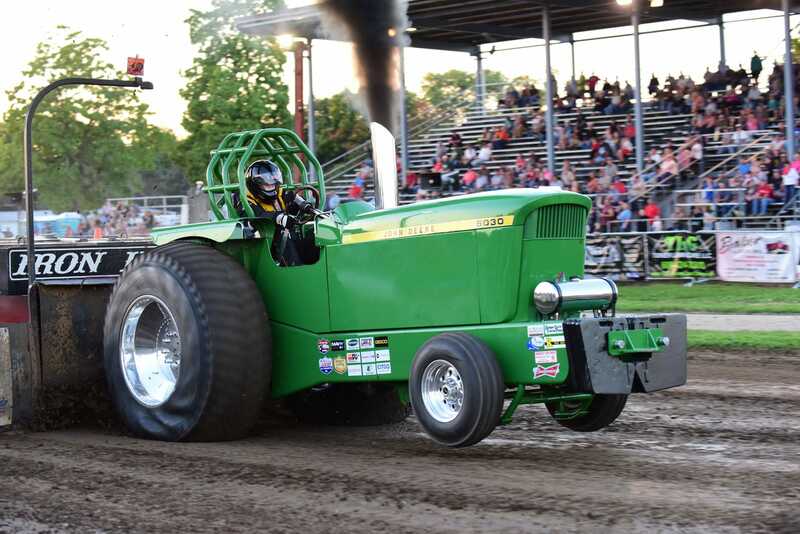 The fuel has been extensively tested on several dynos and was rigorously track tested throughout the 2015 pulling season – with tremendous success. The fuel comes in your choice of 2 1/2 gallon containers for convenience of shipping and handling – or – we ship 55 gallon barrels by truck anywhere in the continental US. We are VERY excited to offer this fuel, knowing the performance capabilities it holds. Please do not hesitate to contact us to learn about pricing and answers to any questions you may have. Full Throttle has a dielectric value of 95 – making it legal for the Lucas Oil Pro-Pulling League. Full Throttle fuel will remain in a Styrofoam cup for over 10 minutes and contains NO oxygen carriers. Max Throttle has a dielectric value of 257, and will stay in a Styrofoam cup for 8 minutes and 15 seconds. Max Throttle contains NO oxygen carriers and is a legal fuel for NTPA. Badger State Full Throttle has a dielectric value of 146.5 and it is a legal fuel for Badger State Tractor Pullers. Badger State Full Throttle will stay in a Styrofoam cup for 10 minutes and contains NO oxygen carriers. Extreme Cetane has a dielectric value of 298 and will stay in a Styrofoam cup for 6 minutes and 10 seconds. It contains NO oxygen carriers and is a legal NTPA fuel.